We offer a wide variety of products. 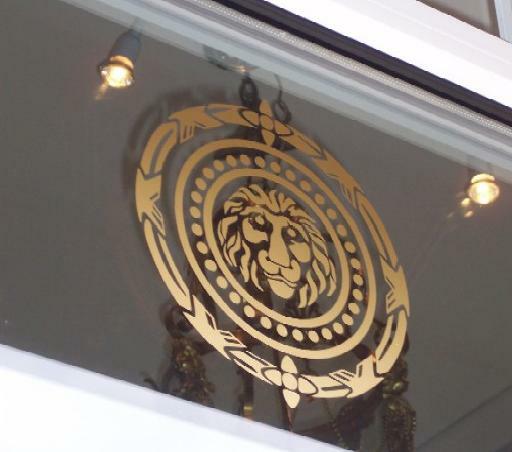 Anything from banners, corporate signage, engraving, LED displays, Neon, Window Letting and so much more. Take a look below at just some of the possibilies! 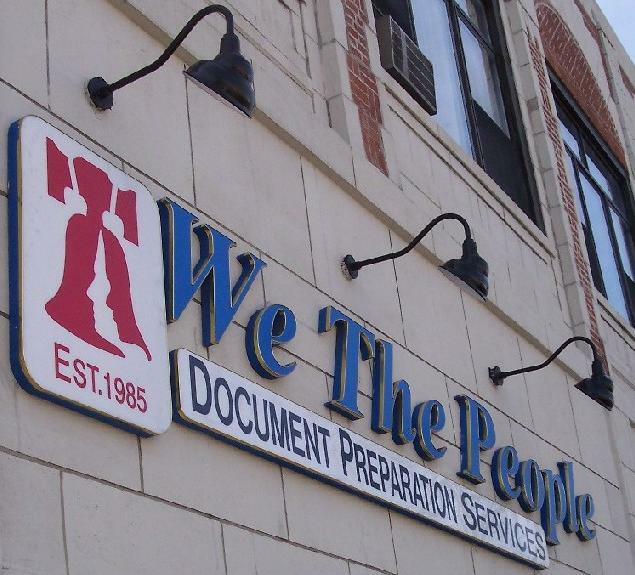 To learn more about the many products we offer, please contact one of our representatives or visit our store. Banner-Ads Colorful ads for sales. Low-cost, yet professional. Large or small. Indoor or outdoor. Use for political rallies, sporting events, grand openings, promotions, birthdays and personals. Borders, grommets and designs are available. 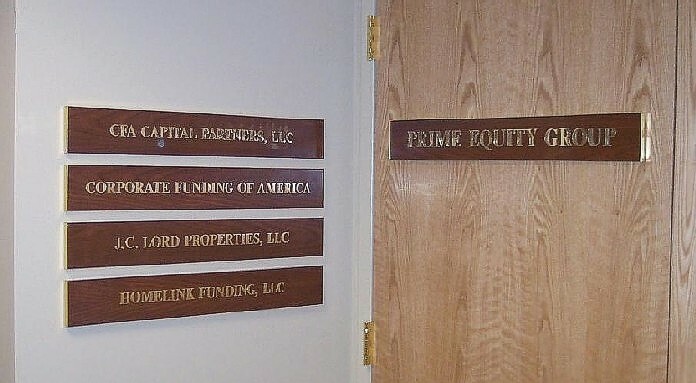 Corporate & Business Management Complete coordinated sign systems, directories, door signage, name plates, badges, charts, graphs, presentations, post & panel building identification, trade show signs and ADA Braille signage. We will stock material for your recurring requirements for fast response to your needs. Electronic Display Systems Electronic messages are extremely versatile and cost effective and draw the attention of the viewer. Many sizes and models are available. 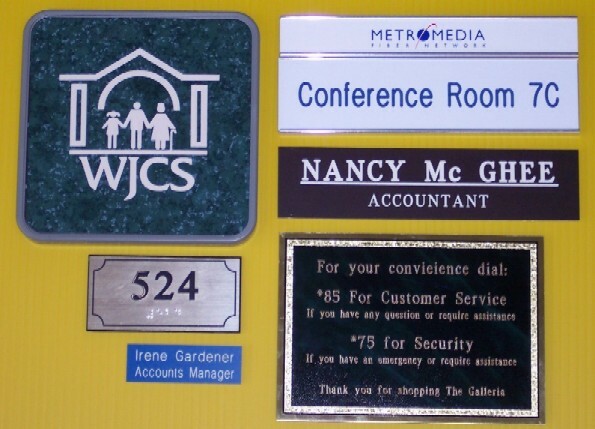 Engraving and Braille 2 Sign systems, name plates, badges, awards, OEM signage, control panel lettering, and permanent identification. Architectural signs. Braille signs made to comply with the Americans with Disabilities Act (ADA). Golf Outting Signage Golf Outting signage made from coroplast. Available grass stands. Name your sponsers, give directions, label stations and use our available outdoor banners for additional promotion and style. 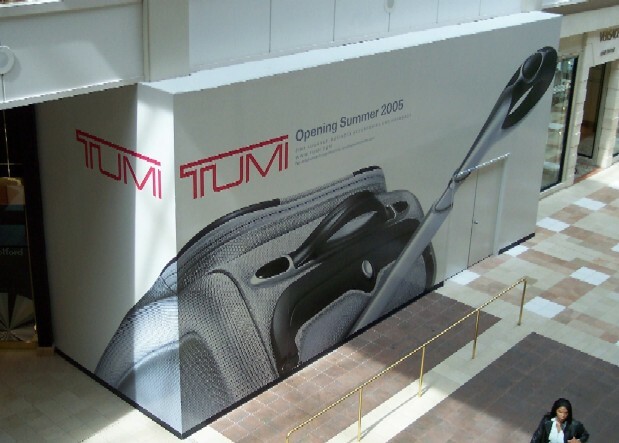 Large Format Printing Cover your vehicle, billboard or store wall with advertising in bold colors and pictures. Over one million people will see your business vehicle each year. Your advertising dollars well spent. Logos & Drawings Company Logos enlarged or reduced from original artwork. Drawings and layouts can be exactly reproduced. Many letter styles are available as well as reverses, outline, shadow and reflective lettering. Special effects can be created by distorting text or graphics. Neon Art neon, advertising and name neon in a variety of colors and styles. 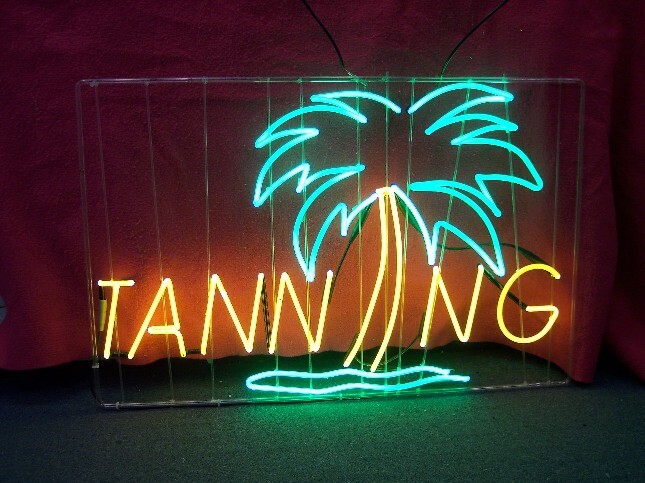 Also inexpensive simulated neon signs. 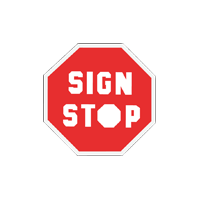 Outdoors Construction site signs, real estate signs, large outdoor banners, parking and directional signs, as well as sandblasted or carved signs in wood or sign foam. 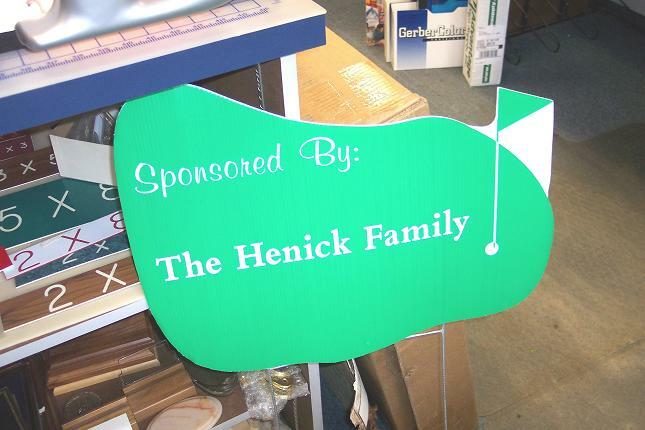 Also, plastic lawn signs for advertising your business or sponsor recognition at golf outings. Restaurants & Stores Grand opening banners, window and door lettering, storefront signs and faces, awnings, channel letters, direction and parking signs, menu boards, neon, flags and pennants. Electronic Display Systems, large format prints and sales ads. 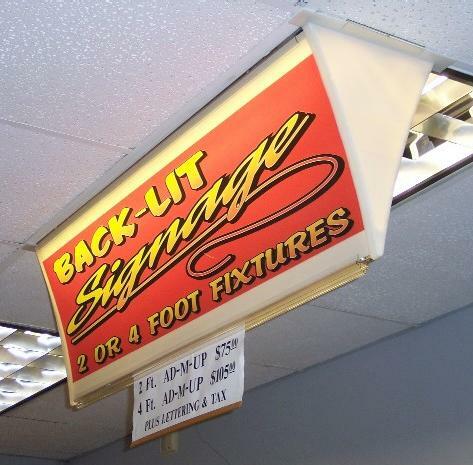 Retail Store Interiors Our interior signage concepts use overhead hanging signs to translate into increased sales. 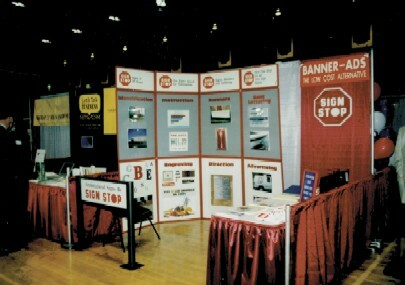 Tradeshows Exhibition panels, display signs, large format prints, banners, and name badges. Portable frames & headers for booth displays. 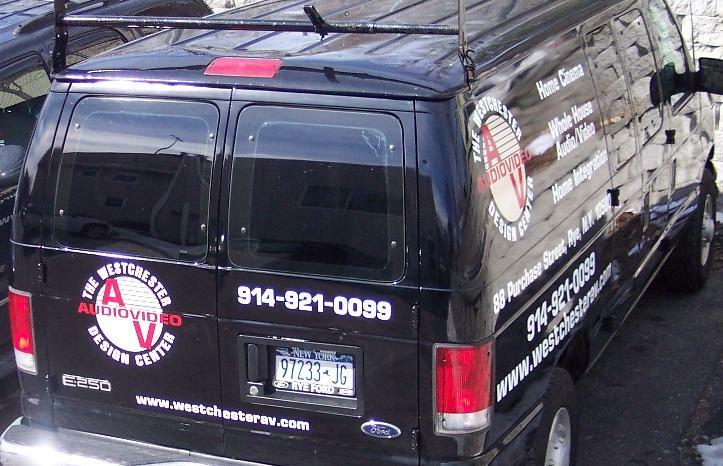 Vans, Trucks, Busses and Boats Vinyl lettering and logos installed on vans, trucks, busses, boats, and taxis. Logos reproduced. 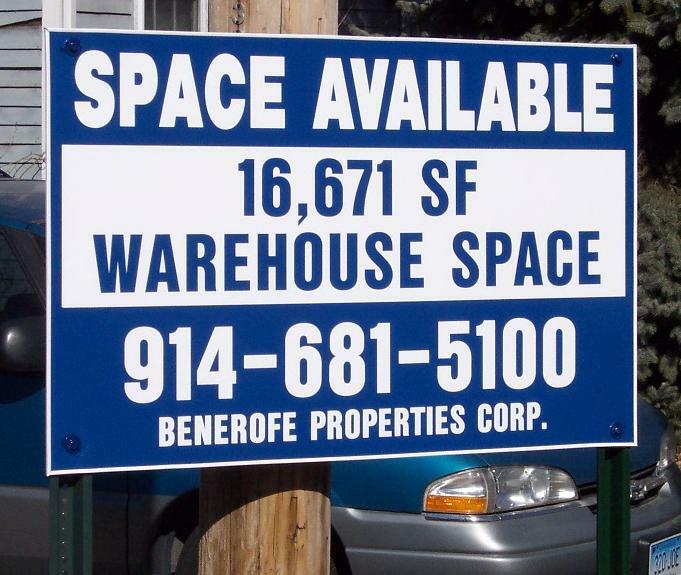 Magnetic signs are also available, as well as decals and large format prints. Window Lettering We have different types of window lettering to give your business the look you want. 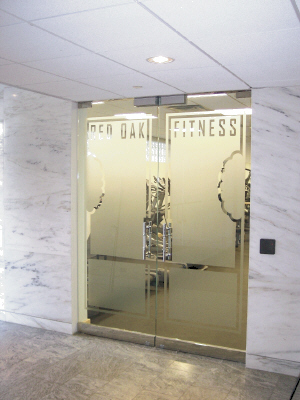 The picture above is an example of etched glass vinyl lettering.